The QCW-05 stands for “Silenced Assault Gun, 2005” and there is a 9mm version, the JS-9. 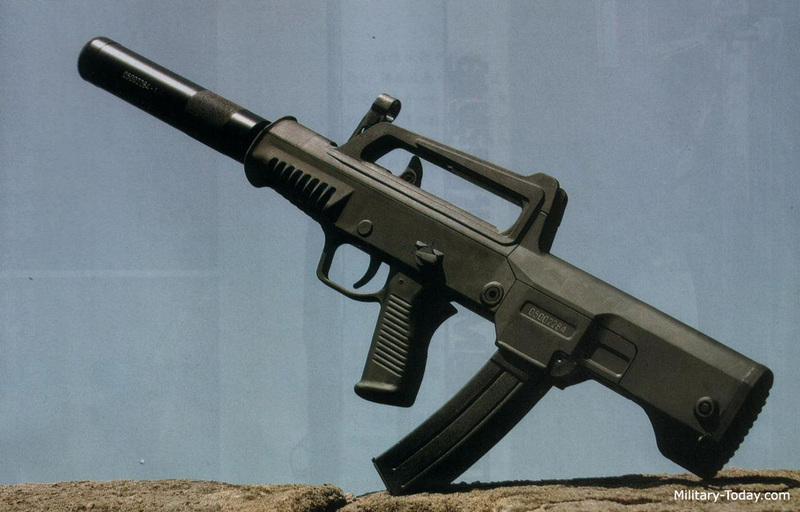 The weapon uses a split magazine that has two staggered ammunition tracks to crowd 50 rounds of 5.8mm into it; the JS-9 uses standard 30 round H&K MP5 magazines. The round is a 43-grain steel-core bullet moving at 1500 fps (with the suppressor) with an energy in the low 9mm range. A simple peep sight on the bullpup’s carrying handle works adequately, and the charging handle is protected by the carrying handle, as well. The JS-9 gains the same bump in DC and CON as the QCW-05 when the suppressor is removed. There are several versions of this pistol in the Chinese 5.8x21mm or 9mm Luger cartridge in service since the mid-90s. 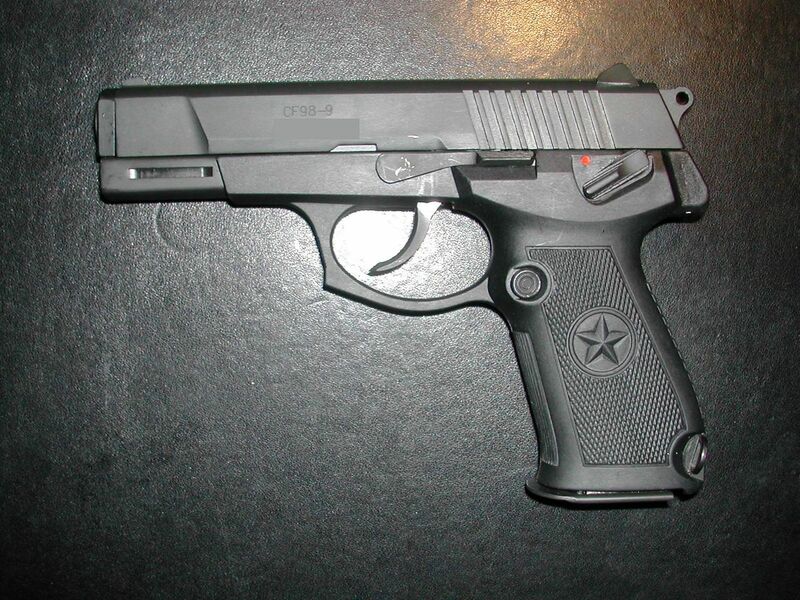 It is a full-size service pistol, usually issued with a suppressor. They look, for the most part, very similar. In 5.8mm, it has a 20 round capacity, in the 9mm versions 15, and uses a rotating lock breech short recoil system that provides fairly low recoil impulse. The controls are easy to reach and use and ergonomics are surprisingly good, save for a very long double action trigger pull. They have a relatively low service life on their barrels, compared to service pistols like the American’s Beretta M9, or the Glock 17 with an expected use of about 10,000 rounds. They are a popular import weapon to Canada. GM INFORMATION: The second rating on the AMMO and DC is for the 9mm version.